In my most recent article, I did an NBA Mock Draft. Only 4 days after the draft comes the NBA Awards. Today, I will be predicting the winner of the 6 main awards – Most Valuable Player, Rookie of the Year, Defensive Player of the Year, Sixth Man of the Year, Most Improved Player, and Coach of the Year. Whether he wins the NBA finals or not, what Lebron James has done this postseason is incredible. He’s carried a team, virtually single handily, to the NBA finals. Nevertheless, James Harden is still most likely going to win Most Valuable Player. Earlier this season, Kobe Bryant weighed in on the MVP debate. This past season, James Harden lead the Houston Rockets to 1st place in the Western Conference for the first time in franchise history, while winning 65 games. Harden averaged 30.4 points, 8.8 assists, and 5.4 rebounds over 2017-2018. Any basketball fan has probably heard the sentence, “Ben Simmons isn’t a rookie”, before. I, personally, disagree with that statement. According to the rules, Simmons is a rookie. He didn’t play in 2016-2017, therefore, he is a rookie this season. Even still, I give the edge to Donovan Mitchell for ROTY. Coming into the season, Utah wasn’t projected to make it to the second round. In fact, they were projected by ESPN to narrowly sneak into the playoffs as the 8th seed (then again, the Wizards and Hornets were both projected to have more wins then the Raptors). Even though the 76ers also made it to the second round, Philadelphia played Miami in the 1st round compared to Utah playing OKC. Ben Simmons also had Joel Embiid. Joel Embiid and the Philadelphia 76ers were one of the many surprising teams this season. Projected to win just 33 games and be the 9 seed coming into the season, Joel Embiid and the Sixers blew past expectations winning 52 games and climbing to the 3 seed in the Eastern Conference. Embiid averaged 22 points, 11 rebounds, 1.8 blocks, and 0.6 steals per game this past regular season. 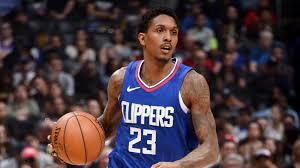 Lou Williams is likely going to win the award, but both of the other two nominees will give Lou a run for his money. Up north, Fred VanVleet had a break out season. Undrafted from Wichita State, VanVleet came out of no where. Delon Wright and VanVleet were both solid backups behind all star Point Guard Kyle Lowry, but VanVleet stood out more. Efficient scoring off the bench, and lethal 3-point shooting. VanVleet averaged 8 points, 3 assists, 2 rebounds, and just below 1 turnover per game, with a 41% 3pt percentage, while playing about 20 minutes per game. As for Eric Gordon, he was good as usual. Averaging 18 points, 2.2 assists, and 2.5 rebounds, he was a key bench piece along with Trevor Ariza, PJ Tucker, Luc Mbah A Moute, and Gerald Green that lead to Houston’s long playoff run this postseason. This was definitely the easiest award to pick out of the 6. That’s nothing against the other two candidates, just that Oladipo was incredible this season. He carried an Indiana Pacers team, that no one, and I mean no one, thought had a chance of being a contender. Indiana and Dipo put up a good fight against The King and Cleveland. Taking Lebron to 7 games, Indiana may have been the best feel good story of the season. 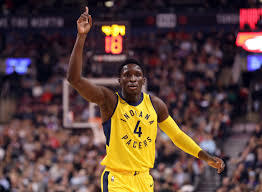 Victor Oladipo averaged 23 points and 4 assists after averaging just 15 points and 3 assists the season prior.